Dr. Speights-Binet joined the Howard College faculty at Samford in 2008 as an assistant professor in the geography program after teaching four years at the University of Houston. She teaches a variety of courses including Global Geography, North American Landscapes, and Suburban Nation. Her teaching philosophy has always involved an interdisciplinary approach, a direct result of her undergraduate experience at Samford when she was a part of the university Honors program. Dr. Speights-Binet is also a regular instructor in the university's core course in Cultural Perspectives. 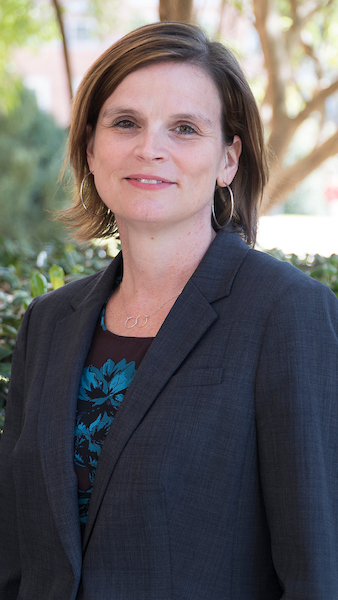 After completing a degree in history and geography from Samford in 1994, she continued her education at the University of Edinburgh and Louisiana State University. Her research interests include cultural landscapes, urbanism, public memory, and the memorialization of public space. Her articles and reviews have appeared in Southwestern Geographer, Journal of Applied Geography, Geographical Review, and the Journal of American History. She currently serves as Associate Editor for the Journal of Geography. Speights-Binet, Jennifer and Doug Gamble. Teaching in the Field. In Teaching College Geography: A Practical Guide for Graduate Students and Early Career Faculty, (K. Foote and M. Solem, eds.) Pearson/Prentice Hall, 2008. Published in conjunction with Association of American Geographers Enhancing Departments and Graduate Education (EDGE) program. Review of New Urbanism and American Planning: The Conflict of Cultures, by Emily Talen (New York and London: Routledge, 2005). In Urban Geography, 2008, Volume 29 (1), 87-88. Monument, Myth, and Memory: The Huey Long Legacy and the Construction of the Louisiana State Capitol. Presented at the Association of American Geographers Meeting, March 2009. Growing Geographers in Texas Soil: An Ethnographic Study of Teaching and Learning Geography in the Field. Co-presented with Jeff Lash. Presented at the Southeastern Association of American Geographers, November 2008. The Dead Ends: The use of critical geography in preparing school leaders for urban educational reform. Co-presented with Susan McCormack and Christa Boske. Presented at the National Council of Professors of Educational Administration Annual Conference, July 2008. "Sidewalks in the Kingdom": Faith-Based Urbanism and Morality Discourses in Three New Urban Case Studies (Session Chair and Co-organizer). Presented at the Association of American Geographers, April 2008.